The two officers are both expected to survive. Two police officers were shot responding to a person wielding a sword at the Church of Scientology in Inglewood, California, on Wednesday afternoon. The two officers responded to calls about a man armed with a sword at the house of worship for the controversial religious group at about 3:30 p.m. local time and confronted the armed man, according to the Inglewood Police Department. After confronting the man inside the church, gunfire broke out. The two officers were struck, as well as the suspect, police said. The suspect was struck in the head and later died at the hospital, according to authorities. 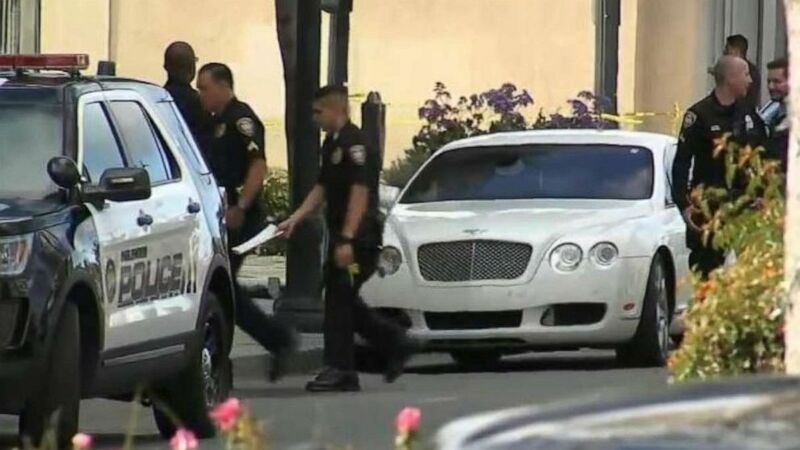 (KABC) Police were investigating a white Bentley left outside the Church of Scientology in Inglewood, Calif., after a shooting injured two police officers on Wednesday, March 27, 2019. Both of the officers were taken to the hospital with non-life-threatening injuries. One police officer was shot in the hand, while the other was shot in the arm, according to Los Angeles ABC station KABC. It was not clear who fired the shots that struck the officers. "He was seen with a weapon, whether it was a gun, sword, both -- that we're still working on," Inglewood Police Chief Mark Fronterotta said. Dual investigations into the shooting are already underway. "The Inglewood Police Department is conducting a criminal investigation as well as an administrative investigation," Inglewood police said in a statement. "The District Attorneys Officer Involved Shooting roll-out team responded to the scene and they are conducting a parallel investigation." 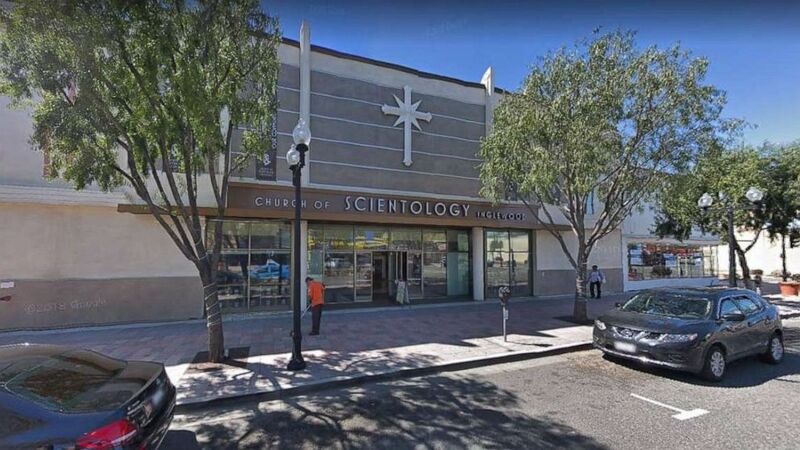 (Google Maps) Two police officers were shot inside the Church of Scientology in Inglewood, Calif., on Wednesday, March 27, 2019. The church is located on South Market Street, which is lined with shops and often has plenty of foot traffic. "We heard a couple shots, like three shots, and I said we better not go outside the gate, " eyewitness Tammy Slaughter, who was taking out trash at the time, told KABC. "So we left the trash bag there and ran inside the building. That's when we heard all the commotion come from outside." Police were investigating a white Bentley left outside the church, which is believed to belong to the suspect, according to KABC. The officers will both undergo surgery and are expected to be in the hospital for a few days, Fronterotta said.